I have a 2 year old son. He will be 3 in a couple of weeks. One of the greatest joys of my life is being his father. He has such a vibrant enthusiasm for life. His love is unconditional. We read books together, play ball, wrestle, he helps me in the garden and he has a little toy lawn mower that he uses after I’ve mowed the lawn to make sure that I got everything. We go on hikes together and he loves to stop and look at all of the small things along the way such as a caterpillar crawling, or various shapes of rocks. We go on “father son” dates and usually watch the big trucks or throw rocks into a lake or pond on those dates. Occasionally, we’ll go out for ice cream. He loves me to chase him and grab him and throw him in the air. My physical therapist gets plenty of business because I think I’m 20 years old frequently when throwing him around! When I tuck him in at night and I help him with saying his prayers, he’ll ask me to tell him a “farm story” and I’ll share a story with him about when I grew up on the farm. I’ll then say “Whacha got for dad?” and he’ll give me a huge hug and say “I wanna keep you”. In 2 short years, he has become a huge part of my life and I can’t imagine life without him. I’m sure those of you reading this who have kids can fully relate to the way I feel about my son. With these thoughts in mind, imagine what I thought when I received and email from one of my pastor friends from another Christian congregation. A member of his congregation was rushing out the door to get their kid to a soccer game and didn’t notice that their 2 year old son was behind the car and backed over the son, killing him. He goes on in his email to describe how horrible the father feels and how guilty he feels. I’m sure he feels depressed, discouraged, and a number of feelings that I don’t even want to imagine. Psychologically, emotionally, spiritually, even physically this man must be feeling such a heavy burden. I’ve never lost a child and pray that it doesn’t happen while I’m on this earth. Our kids are “supposed” to live longer than us, right? Imagine how our Heavenly Father must have felt watching His son suffer on the cross for our sins and afflictions. Jesus suffered for us because of his love for us and Heavenly Father allowed it to happen as well because of infinite love. Through His (Jesus’) suffering, we can cast our burdens on Him. Not only did Jesus take on our sins, but He took on our pains. This man is going through a lot of pain. I pray that this mans burdens will be lifted through the mercy and grace of the atonement and that his pain can be swallowed up in faith and hope for a future that he can see his son again (which is also made possible through the atonement). I imagine psychologically he is suffering and I would recommend going to a faith-based counselor. From my experience in pain and suffering, it helps to just talk and get it all out there both in prayer, but also to others who are professionally trained. Additionally, when I’ve suffered great pain, it has helped me to speak with people in similar situations. I would encourage him to seek out people or groups who have had this happen and have learned how to cope with it. There have been two very good LDS conference talks by a member of the quorum of the twelve Apostles as well as a member of the quorum of the seventy. I’ll share those messages below, and ask my pastor friend to share the talks with his friend, if they seem appropriate. The both describe of personal stories where they lost a young child. You can read about Richard G Scott’s experience here. Shane Bowen gave a moving talk a couple years back about his son who had died and the pain he felt and his process in healing and applying the atonement. The talk is entitled Because I live ye shall also. I don’t know that this man wants to have his name shared, so I won’t share his name publicly, but I do ask that everyone who reads this pray for this man. Also, what other words of advice would you have if you have helped someone through a similar situation, or even experienced this before? Recently we had a very good discussion on whether or not the LDS church believes in Universal Salvation. One of the key doctrines of the LDS faith is that everyone will have a chance to at least hear about Jesus and accept Him as their Savior whether that be in this life or the next. This concept is unfamiliar to many Christians, and one of my fellow Christian friends asked where scriptures supporting this can be found in the Bible. 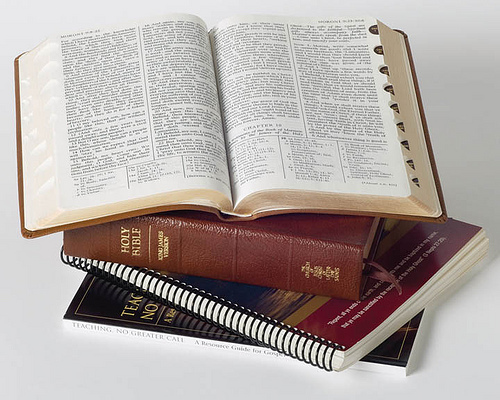 In response to his question, I will provide Biblical scriptures that support this doctrine and also will provide additional LDS doctrines given from moder-day prophets. There are quite a number of scriptures found in the Bible that discuss Jesus visiting the “dead” spirits and also spirits in prison. Some of the scriptures that discuss Jesus preaching to the “dead” spirits can be viewed in two ways. The first way I can see people interpreting these scriptures is that the verses are discussing those who are spiritually dead, and not people who have literally died. This interpretation could be viewed by most of the scriptures I referenced in the link with the exception of those found in 1 Peter. 1 Peter 3:19-20 discusses Jesus preaching to the spirits in prison who had lived during the time of Noah. This scripture can not be interpreted as merely preaching to those who are spiritually dead because of the reference to Noah. When reading the Bible, especially what is written in 1 Peter, it is clear that spirits who had died did receive a chance to learn of the gospel of Jesus Christ. Some Christians believe that Jesus personally visited these spirits. Further revelation on the subject by LDS prophet, Joseph F. Smith clarifies who Jesus visited personally. Jesus visited the righteous people who had died and he appointed angels to visit the wicked who had died and were waiting to receive the gospel. I was reading my Yahoo News this morning and came across a very interesting article called “What Happens When We Die?”. In this article, Dr Sam Parnia describes a study he’s been conducting for the last 10 years on out of body experiences from his patients who come back to life after the body is clinically dead. He also describes how they conduct the study in a way so they know it’s not a figment of the people’s imagination, because they describe certain things in such detail after returning. For more information on his research, click here or visit this site. This reminds me of a story of one of my relatives who died on the operating table and left the body. She described how free she felt and how good it felt to be free of pain. She then turned and saw her family crying and she felt that she wanted to return back to her body to help them. When she returned, pain instantly came over her again, but she described everything in precise detail: what the doctors were saying, her children and husband…everything. Similar references are found in this interesting article and you can read it here.